I have been with my fiance for a year and a few months now. I am a 21 year old female and my fiance is 22. We knew each other in grade school, lost touch, and then a year ago after dating for about 2 weeks decided to call each other boyfriend and girlfriend. We ended up living together in his parents' house in a matter of two months, due to my homelessness for the past two years. We've always had heated arguments about Facebook, friends, drinking and money. We created a new Facebook account for each of us so we could "weed out" the friends that seem to be attracted to us in a non friendly way. That solved that problem. Although now it seems like we only are around family and hang out with no friends. We don't go out to enjoy ourselves unless it's together. which has been a bit of a problem for me. Drinking beer is very popular with his family. We were actually kicked out one night by his mother at 4 am because she was drunk with her husband, got into a fight and my fiancee tried to defend her. Before I came around he wanted to drink a lot more often than I'm used to seeing a man drink. He has no job but was always being treated by his family for a couple of beers about 4 days out of the week. We argued so much about that. While he's drunk I see that he didn't know his limit yet again. He would call me names and sometimes he would say things that bothered so much that I would hit him. After 8 months together he finally agreed to slow down on the beer, and now only drinks once a week, with me. So we don't have drunken fights anymore. But we do fight a lot about him getting a job. I recently lost my job also so now it's extremeley hard for us to make ends meet. The stress causes us to fight about the most ridiculous things. The latest argument got so bad that I broke his phone and he slapped me on the back of my shoulder while aiming for my face. I left. He is now taking anger management classes, and I plan to do the same. My main question is, can we save our relationship? Does anger management work? Will it help? Hello, and thanks for telling your story here. Before I answer your questions, I want to encourage you to take a look at issues of alcohol abuse (do a search on this site). You and your boyfriend need to be very aware of your drinking, and use the information you find to determine if either of you are in the early stages of alcoholism. If either of you is addicted (to anything), then your relationship will not do well, and anger management will not help. Addiction issues always have to be treated first. Re. your relationship, the answer to your question depends on a lot of things. It takes two healthy people to create a healthy relationship, and they also have to be compatible with each other at a lot of different levels. Re. your question about anger management, and whether it works...that is sort of like asking if a computer works. Anger management is a set of tools, just like a computer. Whether they work or not depends on whether you use them, and how you use them. My approach to anger management also includes healing the underlying emotional causes of anger, which creates more long lasting results. 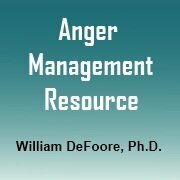 Some anger management classes just focus on tools and techniques for controlling anger, which usually only works for a little while. Learn more here. Also, be aware that you can take online anger management classes in the comfort of your home. This is an excellent program, and I believe in it so much that I am an affiliate with the company that offers it. Above all, make up your mind to be a healthy person and take good care of yourself. That focus needs to take priority over your focus on your relationship or your boyfriend.